210 North Carpenter is a 12-story, 200,000 square foot boutique office building in the heart of Fulton Market. Designed by Solomon Cordwell Buenz, the new construction building is ideal for users looking to elevate their brand, attract an urban workforce and experience Fulton Market to the fullest. Just steps from the Morgan and Lake ‘L’ station, 210 North Carpenter will offer tenants one of the most comprehensive amenity packages on the market, including a rooftop lap pool, tenant lounge and gaming area, full-service fitness center and locker rooms, a programmed yoga room, conference facilities, on-site parking for over 40 cars and much more. Flexible 23,000 square foot floor plates will be fully customizable for any type of user. 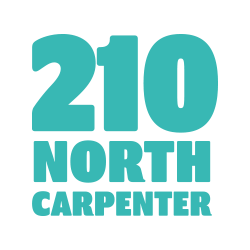 Whether the savviest tech firm or the edgiest law firm, 210 North Carpenter is where you will elevate your brand, elevate your culture and elevate your work life. Developers, investors, builders, innovators. We believe in developing both properties and relationships—and in doing so—we transform spaces, businesses and communities. We are Sterling Bay and this is just the beginning. 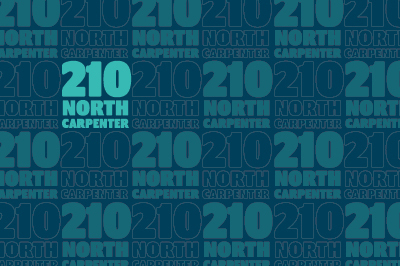 210 North Carpenter is at the center of Fulton Market – there is no better location in Chicago’s hottest neighborhood. The building sits steps away from the Morgan and Lake Street ‘L’ station, just two stops from the CTA transit hub at Clark & Lake Streets. Surrounded by dozens of award-winning restaurants including Girl & the Goat, Au Cheval, Swift & Sons and Next, 210 North Carpenter is just one block north of Chicago’s culinary epicenter on Randolph Street. Join the forward-thinking office users that chose to capitalize on the energy of Fulton Market like Google, SRAM, Dyson, Uber and Glassdoor – and the retailers and hospitality leaders that followed suit, including Ace Hotel, Starbucks Reserve, Anthropologie, Soho House, Free People and Billy Reid. Elevate your brand at 210 North Carpenter.